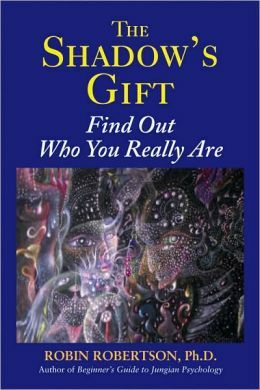 Though written fairly clinically, The Shadow's Gift is an extremely insightful book into one's "shadow," meaning that part of you that you keep hidden and frequently deny exists. Robertson begins by describing the shadow and ways in which it can express itself when one has not embraced their shadow. Through chapters such as "possibilities hidden within the shadow," "the shadow and evil," and "joining within the shadow" the reader is taken on a journey through descriptions, examples and commentary from stories and anonymous stories from his psychology practice. I do have to say though, that I expected this book to be a little bit more of a guide from those wishing explore their shadow selves. Something more of a "go here, do this" type. Rather, this book is more a clinical psychological look at the shadow; descriptions on what it is, characteristics of the shadow, ways in which the shadow can express itself and certain psychological issues with leaving the shadow unexplored. Due to this I feel that this book is best read by someone who has already explored some of their shadow aspects. It is an extremely heavy book; I could read no more than a chapter at a time, and due to the amount of examples, explanations and stories with commentary sometimes it was difficult to get to the point. All in all I do highly recommend this book, with the caveat that the reader has already some experience with the shadow. This is not a beginners book, in my opinion. However, having done shadow work myself, I did find The Shadows Gift to be very helpful in explaining certain aspects of behavior.